[Caveat] This is not an advert! This is real life. So often, we are quick to jump on social media and criticise banks/shops/telecoms networks etc when they fail to perform. When they offer exceptional service however, we go a bit quiet. It’s true that you can’t celebrate people for doing the jobs that they are paid to do, but when they do above and beyond “just the job”, then their name need to be shouted from the rooftops, social media, unsocial media etc. This is why I’m doing this FOR FREE. I am not being paid to share this story, but I will share it and name all the names involved so that other banks can see and learn from this. I met a consumer in the bank who had come to complain of ATM fraud. Her house was robbed overnight and her credit card stolen. As soon as it was daybreak, she rushed to the bank to confirm there was no withdrawal on her account. Her account officer confirmed her account was safe. She promptly requested that all her cards be blocked. Later that day, she got an alert of N120k debit and promptly called Customer Service and was told there was an attempt to withdraw from her account but it failed. She was advised to go to her branch again which she did. Again she was assured no transaction happened on her account. To her surprise, the bank informed her 8weeks later that that the robbers had drawn N360k on her account same day but due to a system glitch, the transactions didn’t reflect when she had come to confirm her account status in the bank! My consumer aluta antenna was at alert on hearing the complaint and I offered to help with her case. While I was advising her on procedures to seek redress, the GM Customer Management showed up in the branch, apologised to the Customer, accepted responsibility for the bank’s inability to provide accurate information on her account when she requested…and offered to refund her 360k, even BEFORE she made a formal complaint! That was a 1st in my decades of interaction with various banks in Nigeria!!! 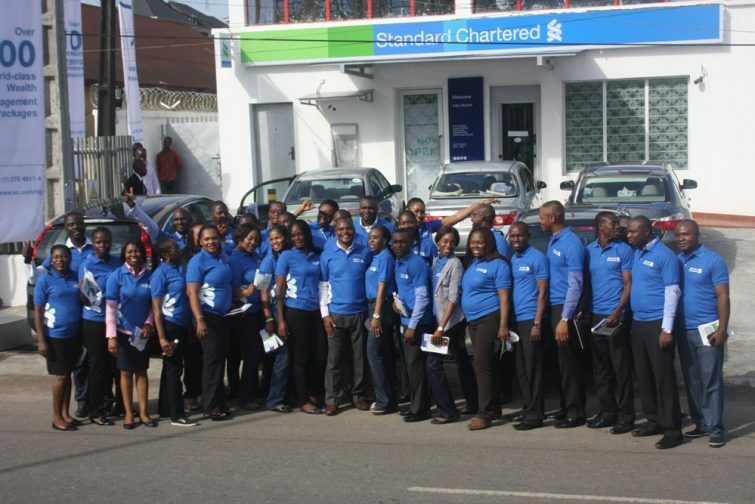 Standard Chartered is my No 1 Consumer Sensitive Bank this year. I was impressed by the prompt, responsible and responsible proactive decision of the bank to resolving this consumer’s complaint. To be honest, I don’t know how my bank would’ve handled the same situation. Let’s just say they can be wonderful sometimes. As customers, we deserve good services and this should be the norm. Know any other bank with similar stories? Share with us in the comments below. I have to show my gratitude for your kindness for those individuals that must have guidance on this theme. Your special commitment to getting the solution all through ended up being quite informative and have really allowed guys like me to attain their targets. Your valuable guideline signifies a great deal a person like me and somewhat more to my fellow workers. Thank you; from each one of us. Thanks so much for giving everyone a very breathtaking opportunity to read articles and blog posts from this site. It can be very enjoyable and also full of fun for me personally and my office fellow workers to visit your website at the least thrice a week to read the latest tips you have got. And lastly, we are always astounded with the excellent suggestions you give. Selected 3 tips in this posting are essentially the best I have ever had.